Can Online Reviews Help My Search Rankings? Online Reviews and Search Rankings? This is one of the most popular questions we get when meeting with clients to discuss their online presence. In a short answer: No. In a longer answer: Absolutely. Here’s why. 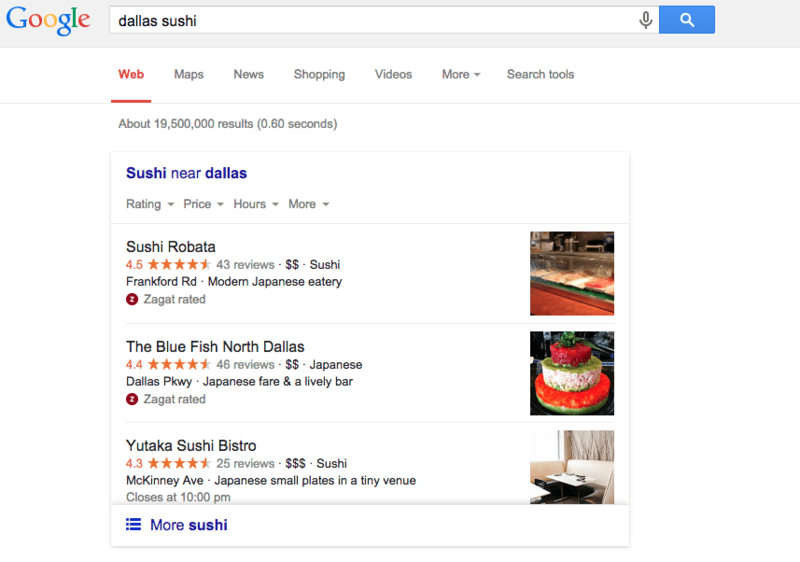 For the purpose of this blog, I went to both Google and Bing and did a search for ‘dallas sushi’ and on both search engine results pages, the very first thing that popped up were online reviews. 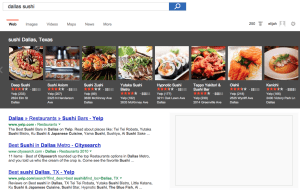 Yelp for Bing and Google Reviews for Google. That means when people are searching for your business, if you have a less than stellar rating on either service, you aren’t presenting your business in the proper light. If you’re out searching for the best sushi joint close to your home and there’s a 3-star review and a 5-star review, which one would you likely choose? Of course, there are many factors that go into that ranking, but, upon first glance, the 5 star review will be chosen more often. It is not just Google and Bing anymore. The restaurant and retail industries have become more and more dependent on the online review aggregators over the past few years. The rise of Yelp, Urbanspoon, Foursquare and Google Reviews shows that potential customers are willing to spend the time needed to wade through reviews to find what customers have to say about a business before they step in the front doors. If your business has any reviews online, you must take action and address problems and compliments to your business, just as you would if someone were telling you in person. If an unhappy customer is out there writing reviews of your business in a negative light, then the number of customers lost can noticeably affect your income. 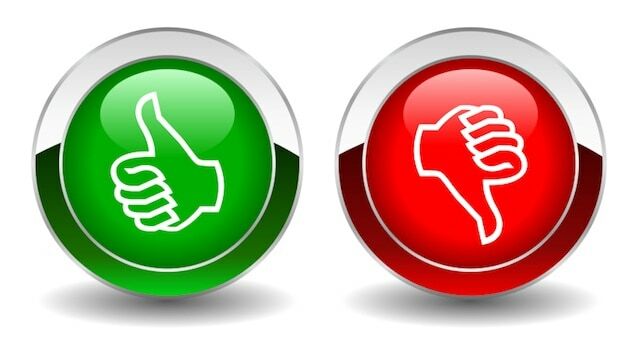 So, back to the original question: Can online reviews help your search rankings? While you may not notice an uptick in your traffic from Google or Bing, you will notice an increase in traffic from the countless number of review sites out there. Where are they coming from? Just do a search for “sushi” in your preferred search engine and take a look. Underneath the reviews and the local maps, is the organic search results, Yelp and Google Reviews are the all over the place. Have you noticed an increase in traffic from online review sites?